We have cemented a partnership with Ridgecrest Capital Partners, a renowned Silicon Valley technology investment bank, in order to reinforce our relationship with US technology buyers and execution in the United States. 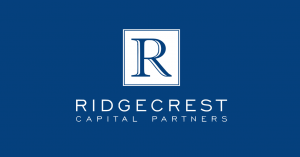 Ridgecrest Capital Partners is an established technology boutique run by three solid and experienced partners with long track records in M&A and Private Placements. They have collectively concluded more than one hundred transactions in technology and media sectors at Ridgecrest Capital Partners, and many more transactions previously in leading US investment firms. They have worked with many European companies and are, like us, experienced with cross border deals.